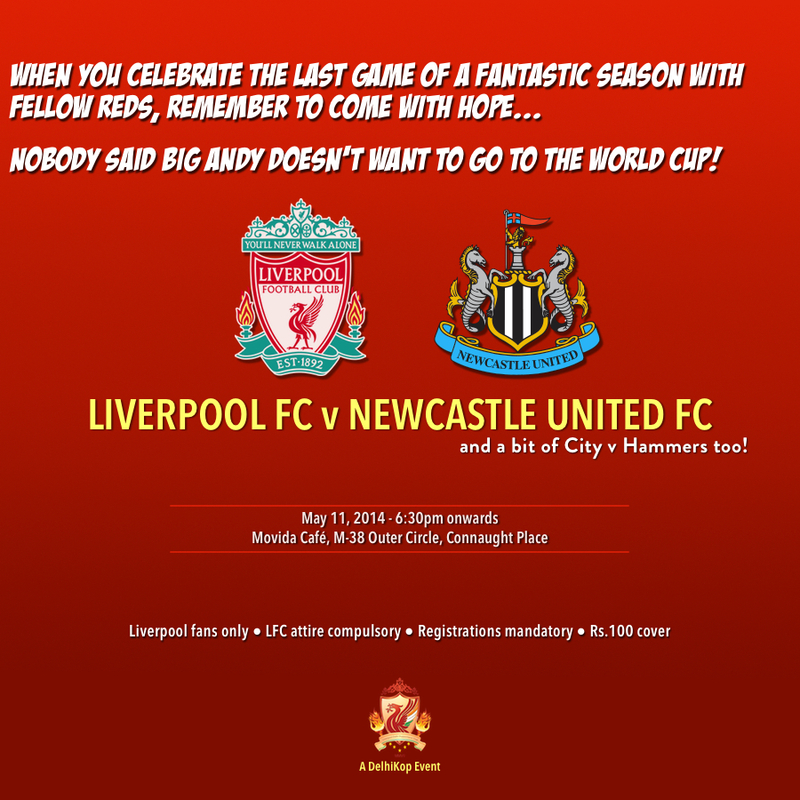 DelhiKop Match Screening – Liverpool v Newcastle! As we head into the final day of this amazing season, we wish to celebrate what has been a fantastic season. Fantastic for many reasons, firstly we’ve not headed into the final day of the season with any ‘mathematical’ chance in the last 24 years. This season we’ve pushed our rivals and have become a force to reckon. Secondly, Champions league is back at Anfield and thirdly, we’ve seen remarkable turnout in our screenings as the title race was getting intense. Registration is MANDATORY. Entry would be allowed only to those whose name is on the guest list. Also, entry would be on the basis on 100 Cover charge. LFC attire is compulsory too! Names not on guest list will be allowed on 300 Cover charge. The guest list with the venue will be considered final. Any queries pertaining to registration/technical glitches on the form, feel free to call on the number(s) given below.